Renaissance polyphony can be sublime, suspenseful, moving, and exhilarating! We hear the interweaving voices, the imitative entrances, the artfully prepared dissonance along with the excruciating sweetness of the resolution, and we simply know we are listening to the music for a master who could control the notes, rather than the other way around. Texas Early Music Project’s upcoming concert of music by Josquin des Prez and three of his Franco-Flemish colleagues will display the skill, precision, imagination, and variety available from the best of the generation of composers who lived from c.1440-c.1520 and who set the standards for future composers. Josquin, the most renowned composer of his day, was really a giant among giants. This concert will immerse listeners in the music of Josquin and three of his Lowlands contemporaries: Antoine Brumel, Loyset Compère, and Pierre de la Rue. Each of these composers, including Josquin, was named in Jean Molinet’s famous ode “Nymphes des bois,” written after the death of Johannes Ockeghem, their musical father, and each of these magnificent composers contributed his own unique vision to the sacred and secular repertories of the day. Josquin, Compère, and Brumel worked for courts and cathedrals in France and Italy and influenced the next generations of composers all over Europe. Pierre de la Rue lived and worked mostly in Burgundy (now Belgium) where he continued in the footsteps of his predecessors Dufay and Busnois at the Grande chapelle, the musical establishment of the Burgundian-Habsburg court. Among the featured pieces are some of Josquin’s standouts, including “Nymphes des bois,” and two pieces from the beginning and the end of his career. Beautifully transparent and emulating some of the techniques of earlier composers, TEMP will feature the much-loved “Ave Maria” from the beginning of his career. “Missa Pange lingua,” composed during the last few years of his life, exhibits the powers of a composer who has nothing to prove. Rather than exhibiting new skills, Josquin went deeper and composed with calm mystery, especially in the “Agnus Dei,” which ends the concert. 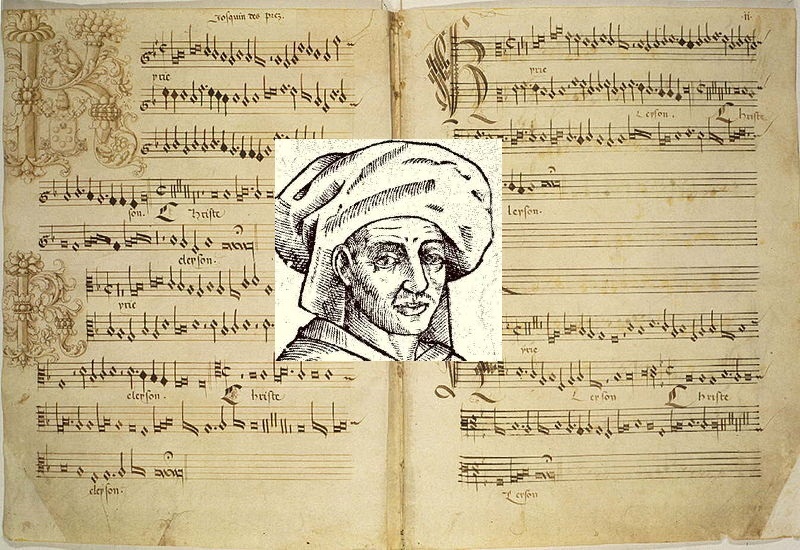 One of the most unique masses composed during the Renaissance was Brumel’s “Earthquake Mass” (“Missa Et ecce terrae motus”) for 12 voice parts. The Gloria of the mass is perhaps the most celebrated movement and TEMP is excited to bring the splendid and exciting music to the Austin community! TEMP founding member Christopher LeCluyse will return to perform in this concert. A small chamber choir of 12 voices will perform some of the most splendid a cappella motets and mass movements by the featured composers and will feature some of the best voices in Austin. A trio of viols will present lively secular pieces and solo lute will perform intabulations of sacred and secular music of these Renaissance titans. Saturday, October 29, 8PM,St. Louis King of France Catholic Church, 7601 Burnet Rd.